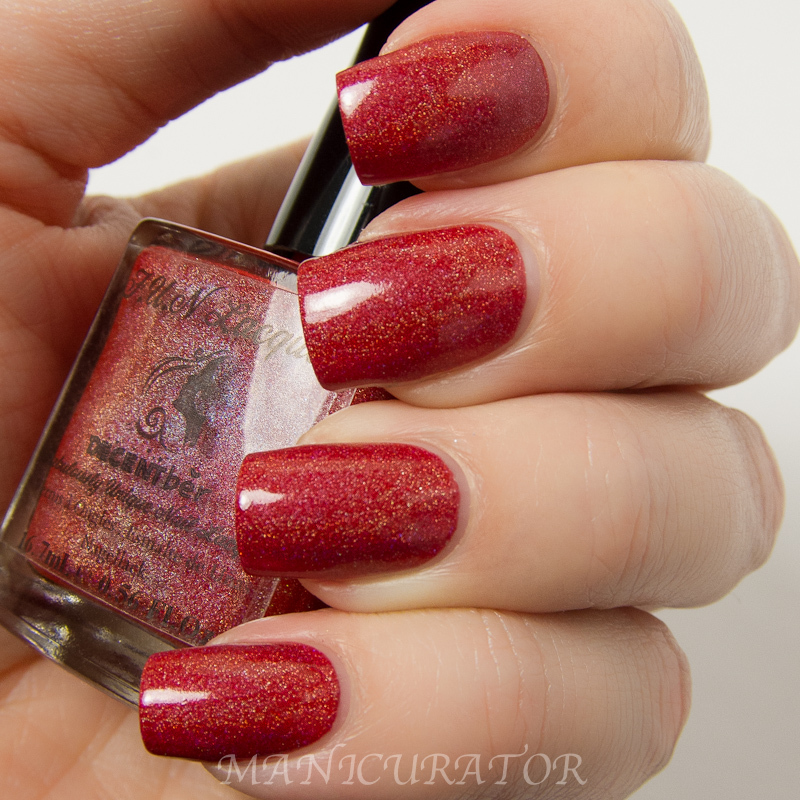 How lucky I am to be able to show you some FUN Lacquer today!! I'd been admiring the Princess Collection from afar so when I was offered the chance to review the Christmas collection I jumped at it. I'm pleased with every single one of them! Let's take a look! 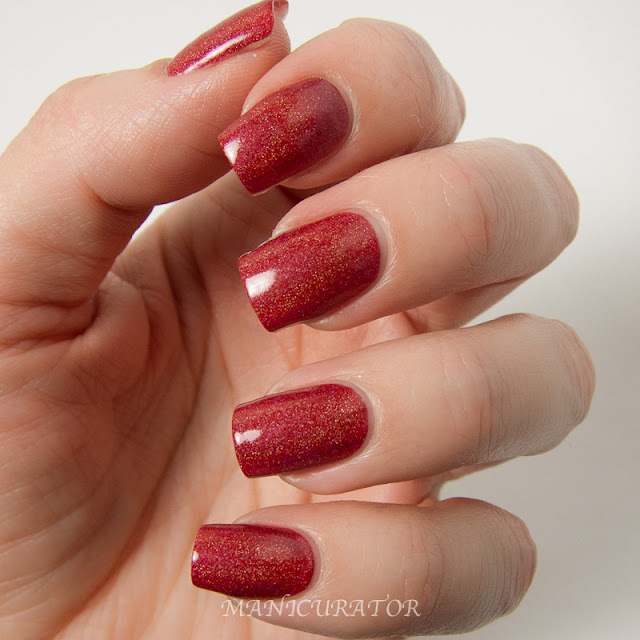 FUN Lacquer Decentber - a red holographic polish. Perfect for the season! This is 2 coats and formula is perfect. 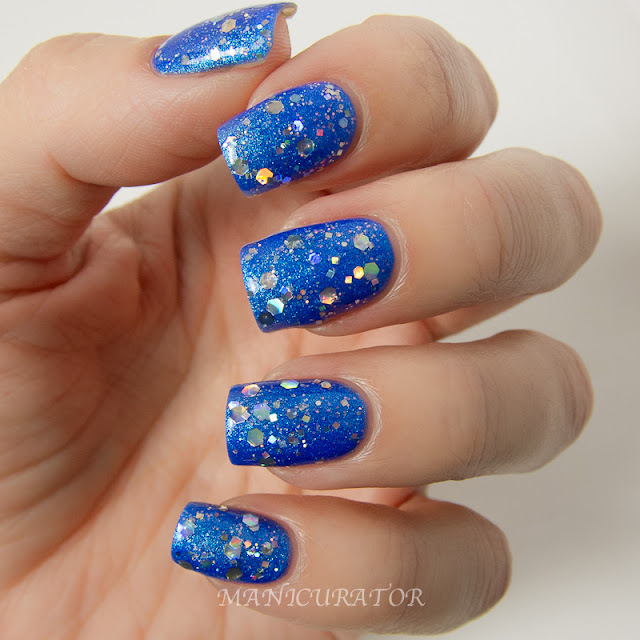 FUN Lacquer Icy Snow - a shimmery blue thermal. It has a purple/red sheen to it that is just beautiful when the light hits at certain angles. 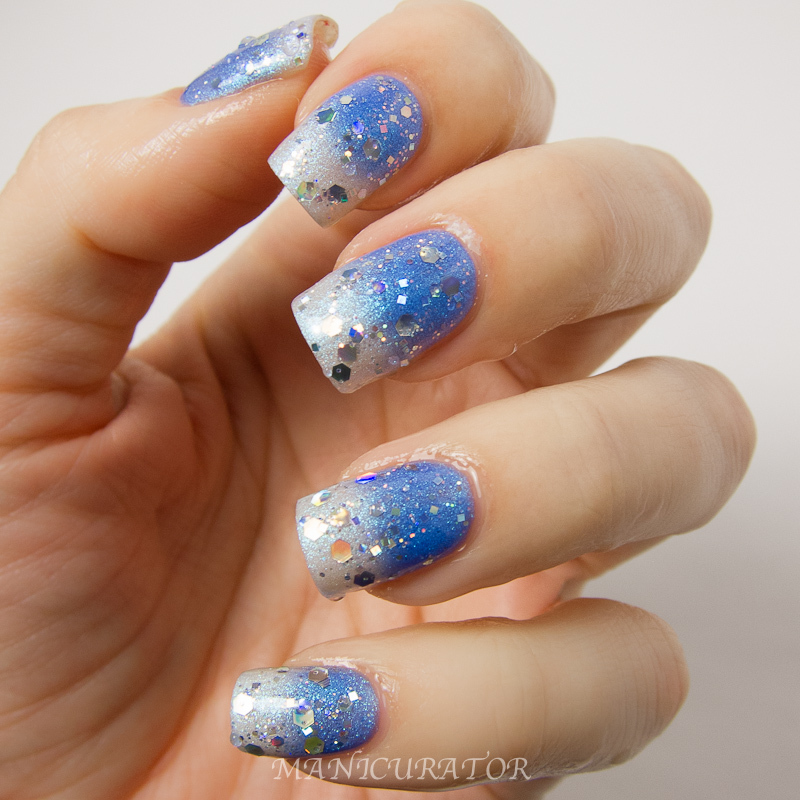 When it's warm, it turns an icy white with blue shimmer. Another perfect for winter! 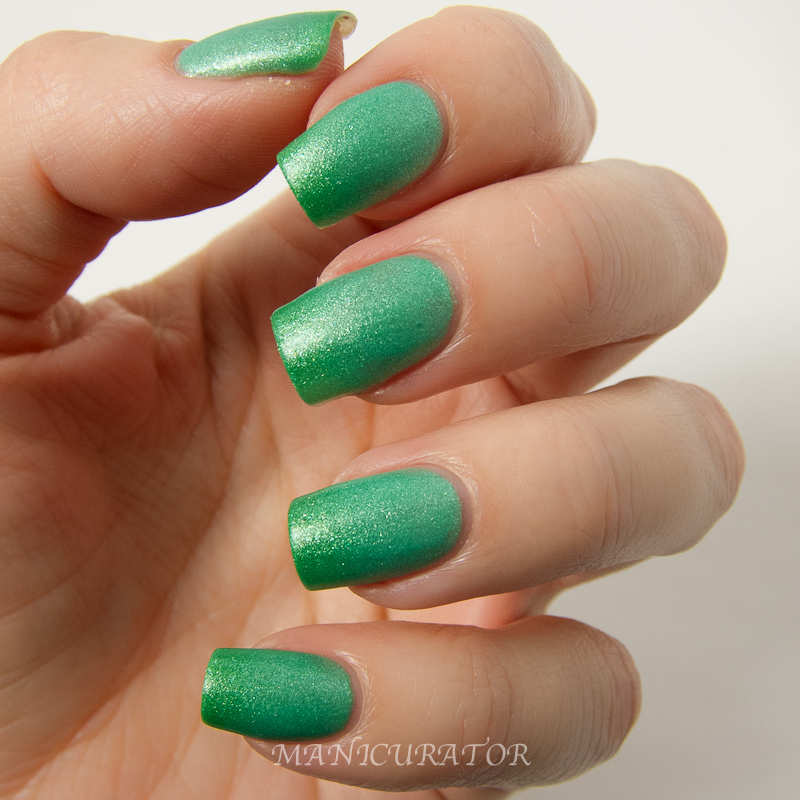 Two coats, slightly thicker formula but still easy to work with. FUN Lacquer Icy Snow with Winter Wonderland - a glitter topper full of silver holographic glitter with various size and shape. It has iridescent glitter in the base. One coat shown here over Icy Snow. La la la love it! Here you can see, I dipped the tips in warm water to show the thermal color change. 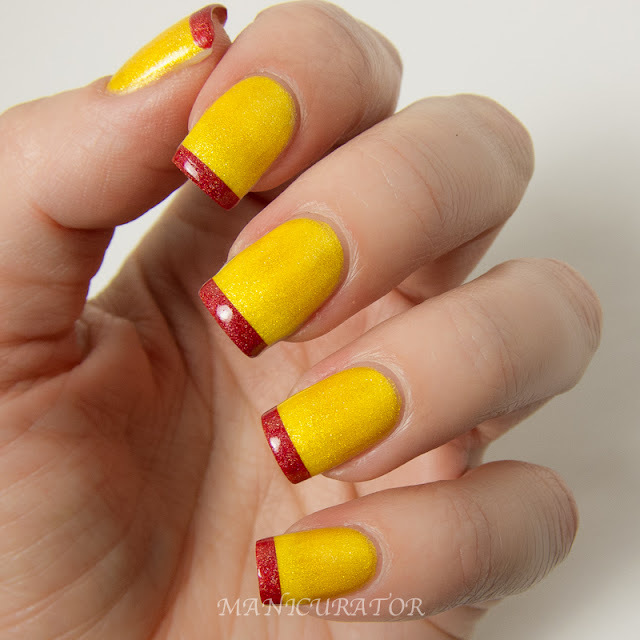 FUN Lacquer Wishing Star - a yellow thermal polish with gold shimmer. A bright sunshine yellow in it's cold state, and it's an icy pale yellow with shifts from gold, to green to blue when it's warm. Three coats needed with this one for opacity. I couldn't resist showing off Wishing Star with Decentber tips. Such an unconventional french, right? 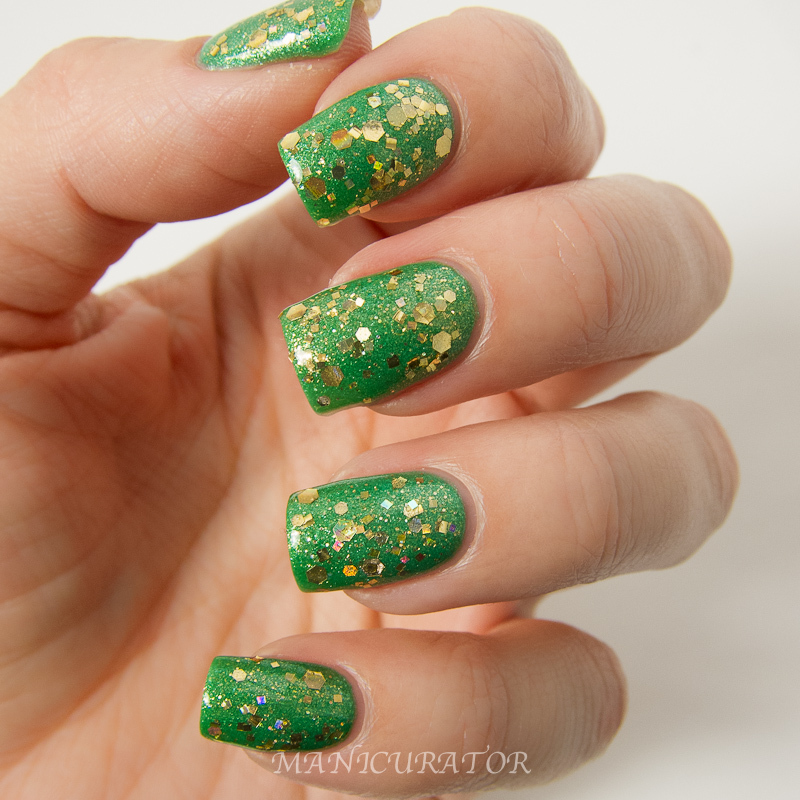 FUN Lacquer X-mas 201Tree - a shimmery bright green thermal. When it's warmed up, it transitions to an icy white with green shimmer, and it almost looks turquoise as it's transitioning. Two coats shown here. FUN Lacquer X-mas 201Tree with Gold Mark - a gold glitter topper full of gold holographic glitter. There are a few sizes of gold holographic hexes, squares, and gold flake shimmer in a clear base.I have one coat here. 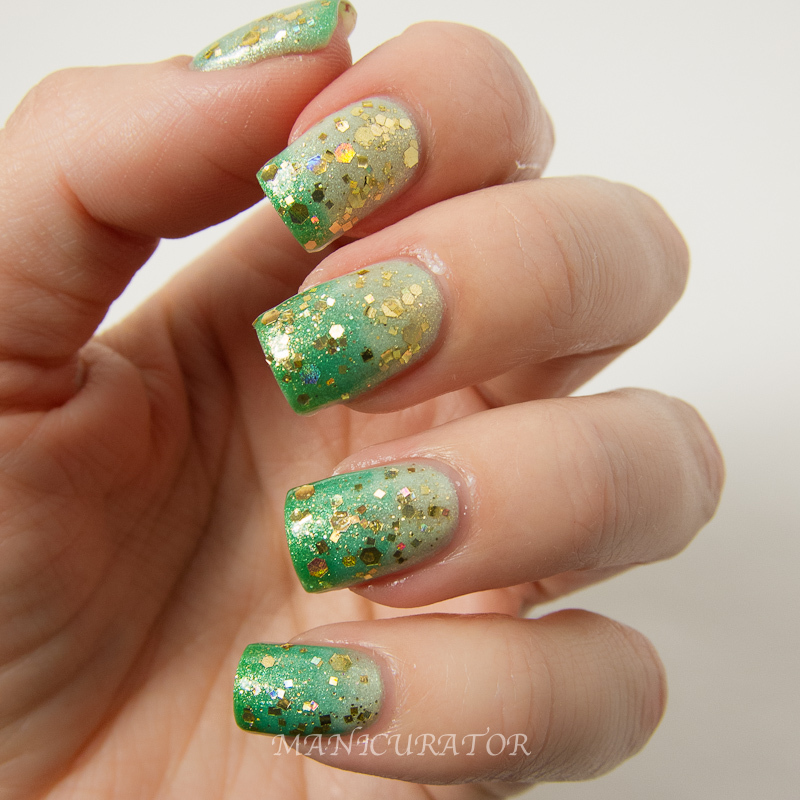 Both glitters had great formula with abundance of glitter, but not so much that it's hard to polish. And lastly, showing the thermal color change with X-mas 201Tree. FUN Lacquer can be found on facebook, twitter, Instagram and Pinterest. Each 7ml mini is $7.50, 16.7ml full size lacquers are $13. So pretty!!!! I'm with Kerry, Icy Snow looks great!!!! They all look great, but Decentber is just amazing! Gorgeous swatches, really stunning! I must try this brand somewhere next year :).